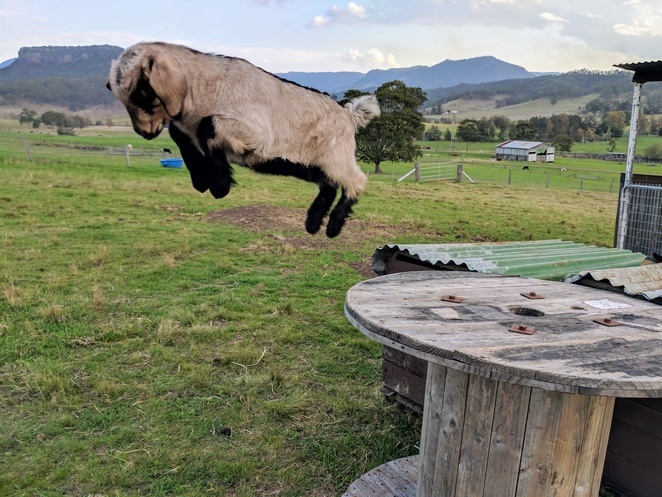 Escape the hustle and bustle of city life in the beautiful Scenic Rim in the midst of a traditional farmhouse on a 2600 acre grazing property. That is what awaits you at Kirro in the heart of the breathtaking Kerry Valley. Kirro is old school charm, with a modern twist that is perfect for families or couples wishing an escape from the city. Whether it be guests seeking a quiet weekend, escaping the hustle & bustle and noise of the city life with a leisurely siesta on the veranda sunbed, or exploring the nearby mountains, clifftop plateaus and natural walking trails. 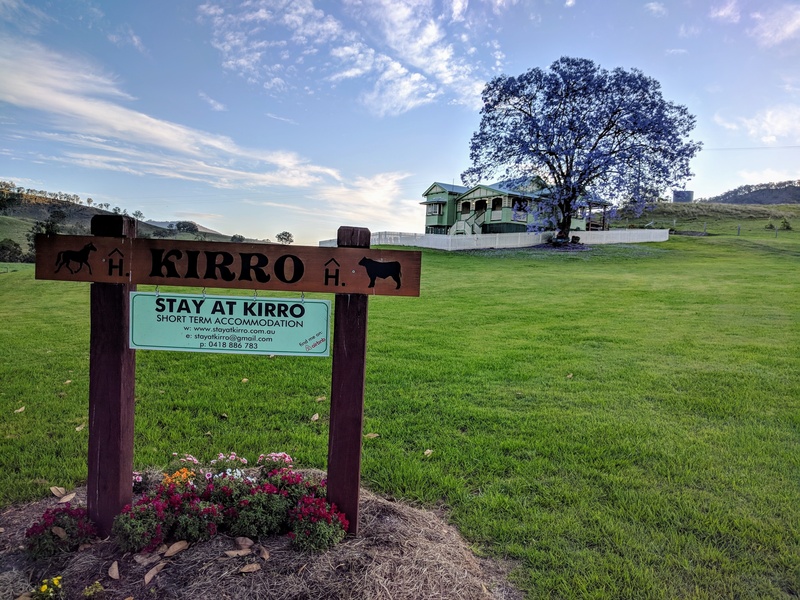 Kirro is perfect for all those looking to experience a little slice of the country lifestyle with the traditional afternoon activity of feeding the animals. Kirro is a three bedroom, two bathroom, airy and open farmhouse, with air-conditioning in the master bedroom and in the lounge room. All the windows have insect screens and can be left open all year around if desired with all bedroom windows having block out roller-blinds. The property features a modern kitchen with the expected appointments, cooktop and oven, large refrigerator, microwave and the ever important dishwasher - because who wants to wash dishes on holidays? 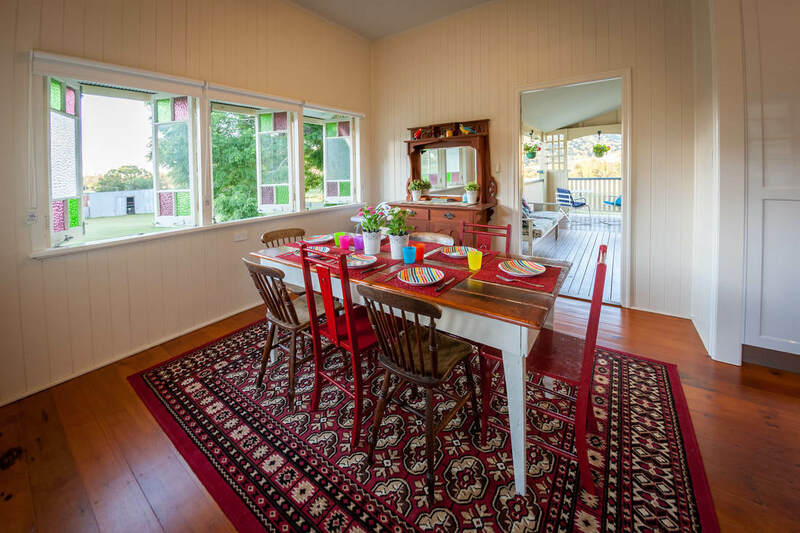 The formal dining area is outfitted for 8 people around the large table, outside on the back patio, additional dining table and tea table with roll-down wind breaker blinds. The front veranda also features a large dining table, as well as a full-sized day-bed and a few lounger chairs for watching the world go by from the elevated position on the property looking across and onto the world famous Lamington National Park. Flowing rivers run through Kirro and adjoining properties, which all can be explored, fished or even swim in. Some are shallow enough to paddle and splash, whilst other areas are deep enough to stand fully submerged in the water, which is a combination of spring and hinterland fed, and is always clear and refreshing. Other activities include dozens of hiking/mountain biking opportunities through the mountains around the property with both man-made and naturally formed tracks. Cliff-top views from the mountain tops offer a spectacular view down the Kerry Valley towards Beaudesert and further back into the Hillview & Laravale regions, with elevated views of the southernmost points of the Scenic Rim and landmarks such as Mt Barney and Mt Lindesay. A more leisurely stroll through the bottom end of Ladybrook farm offers a postcard view of spectacular and world heritage listed Morans Falls, which features an 80m high single drop plunge type waterfall. 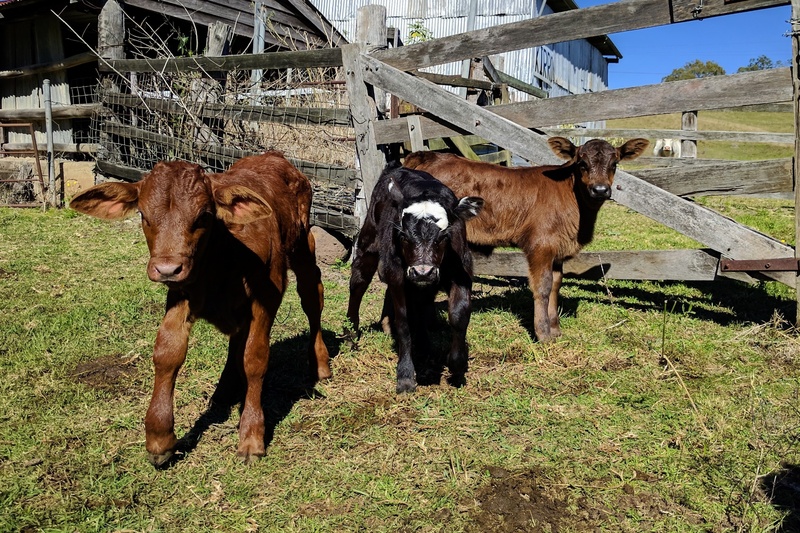 Also for those looking for a more laid-back country experience, when timing permits guests are welcome to visit the farm itself - a few minutes down the road from Kirro - during afternoon feeding, and get up close and personal with hand raised animals such as Midnight, the adopted poddy calf, Twilight, Luna and their kids. Pets are welcome and encouraged provided they do not roam or come into any beds or internal lounges. 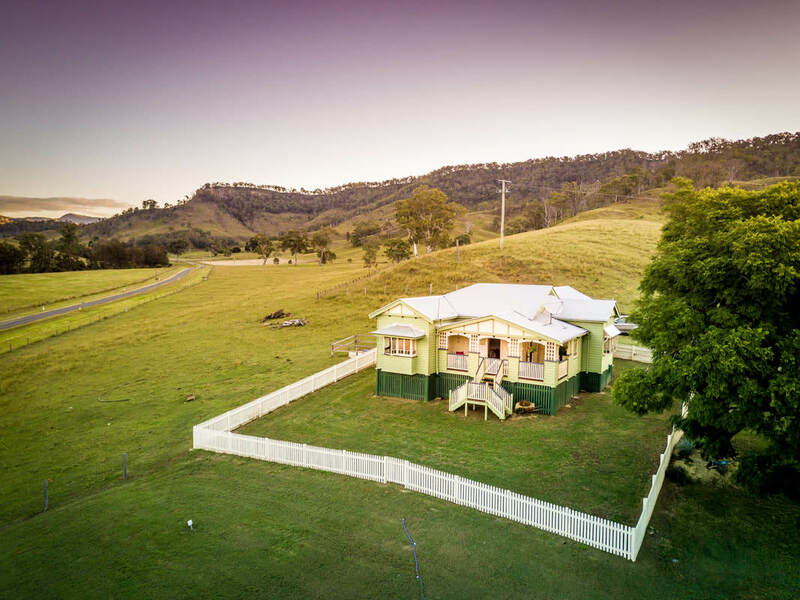 Renovated in late 2015 with a new lease on life Kirro is situated just outside of Beaudesert, a little way south of Brisbane, in the wonderful Scenic part of the Scenic Rim known as the Kerry Valley. 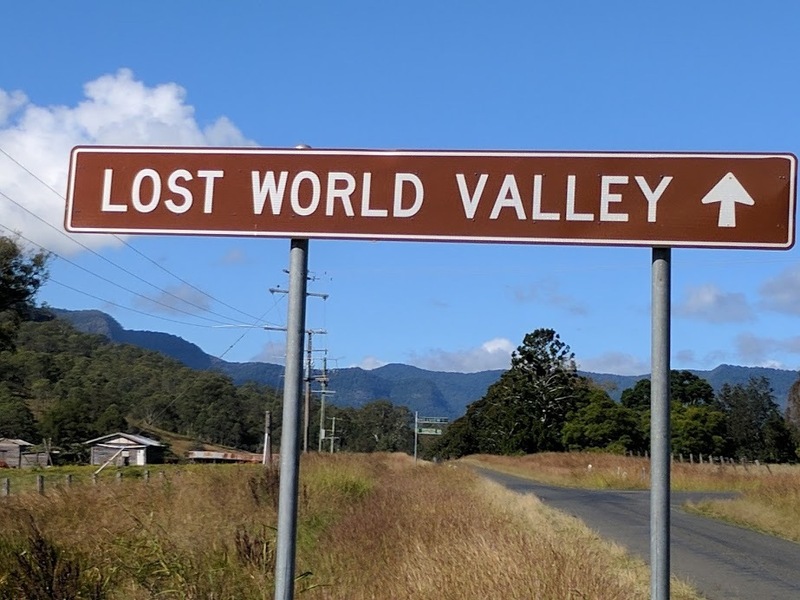 In turn, it leads out to The Lost World Valley, known for amazing hiking and camping, as well as some truly 'back to nature' holiday escapes. A drive along Kerry Road will take you past working Dairy, Crop & Beef farms, and one of the largest in the valley is Ladybrook Farm, Owned and run by Sue & Ian Harrison, fifth-generation farmers of Broomfield Grazing Company lineage. 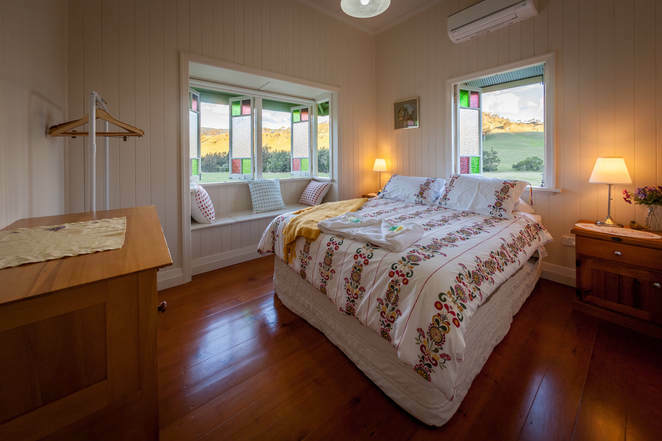 Located on this 2600 acre farmland is the lovingly restored 'Kirro' homestead. Kirro is situated at 2614 Kerry Rd, Darlington, QLD, 4285. To book and for more information on staying at Kirro, go to the Kirro website.